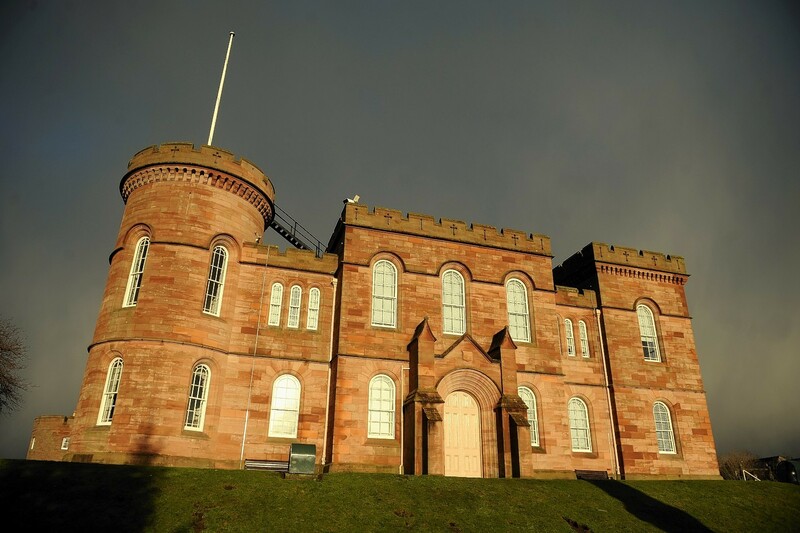 A Black Isle man has admitted threatening to burn down a hotel and lunging at police with a hammer during a seven-hour siege last week. Andrew McHattie appeared at Inverness Sheriff Court yesterday following the stand-off with emergency services at the Tarradale Hotel in Muir of Ord. The 37-year-old, from Munlochy, was charged with behaving in a threatening manner at the hotel during the incident on Friday. He was accused of threatening to burn down the building, throwing coins at his stepfather William Dickson, threatening police officers with violence, lunging at them while brandishing a hammer and attempting to set fire to a duvet. Sheriff James Tierney asked if he had seen the charge. McHattie replied: “No” and then confirmed he was pleading guilty. He also admitted two and a half pages of previous convictions, and was remanded in custody for background and psychiatric reports. Emergency services were called to the Tarradale Hotel at about 2pm on Friday, with several police vehicles surrounded the building, along with fire crews from Inverness and Dingwall. McHattie, of 1 Stables Court in Munlochy, was arrested more than seven hours later. He appeared in handcuffs in the dock of Inverness Sheriff Court after refusing solicitor representation. Fiscal depute Michelle Molley told the court that she had called for a psychiatric assessment of McHattie, which was carried out on Monday and Tuesday. She told the Sheriff that he had been found sane and fit to plead by the psychiatrist, who was aware of his problems. “He does have a psychiatric background and when he takes his medication, there are no problems,” she said. “But he has difficulties in his personal life and his parents who reside in the hotel. “This was a stand-off for over seven hours involving all the emergency services. “There was not only a danger to himself, but to those personnel, employees and the public. McHattie told the Sheriff he wanted to be released on bail but did not have a bail address because he was unable to return to his fiancee’s address, where there were children. Sheriff Tierney explained that in the circumstances he had no alternative but to remand McHattie in custody for the preparation of a background and psychiatric report. McHattie nodded his head and was led away for his next court appearance on June 30.